The Elf on the Shelf is one of those Christmas traditions that seems to have gained in popularity since viral media became a thing. Now people are getting evermore creative and adventurous with their shenanigans involving the Elf on the Shelf for the sole reason that they now have somewhere to put it and show off about to their friends and family. And in some cases, like this one, to the wider world. 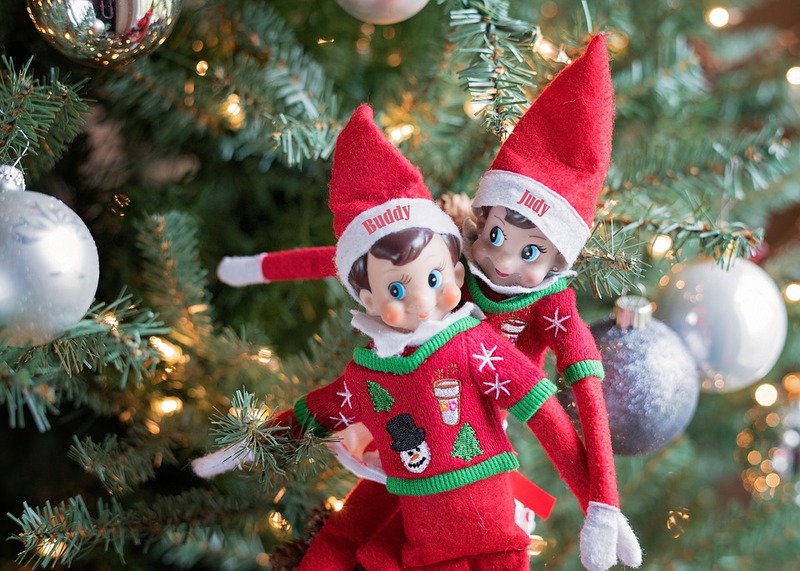 The basic premise of the Elf on the Shelf is that Santa’s ‘scout elves’ hide in people’s homes and watch over events and when people go to sleep, the elf goes back to the North Pole, reports to Santa on the activities and flies back to take up another position to watch the family again. Essentially, it’s an elaborate and slightly weird game of hide-and-seek between a fictional elf and a family celebrating Christmas. However, the families adopt the elves and that’s when it receives its Christmas magic to fly to and from the North Pole. There’s only one rule: Please do not touch me. My magic might go, and Santa won’t hear all I’ve seen or I know. 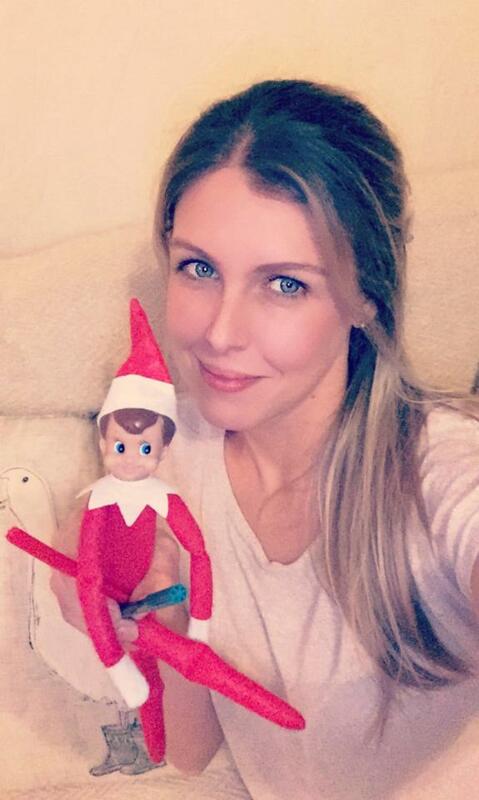 So in real life parents hide an elf on the shelf and their kids can tell it everything they want for Christmas so they can report back to Santa. Got it? Excellent. As we were saying, every year, some parents get a little more mischievous. This year it was Ali McCullogh’s turn. However, her little prank on her son backfired in her face spectacularly. 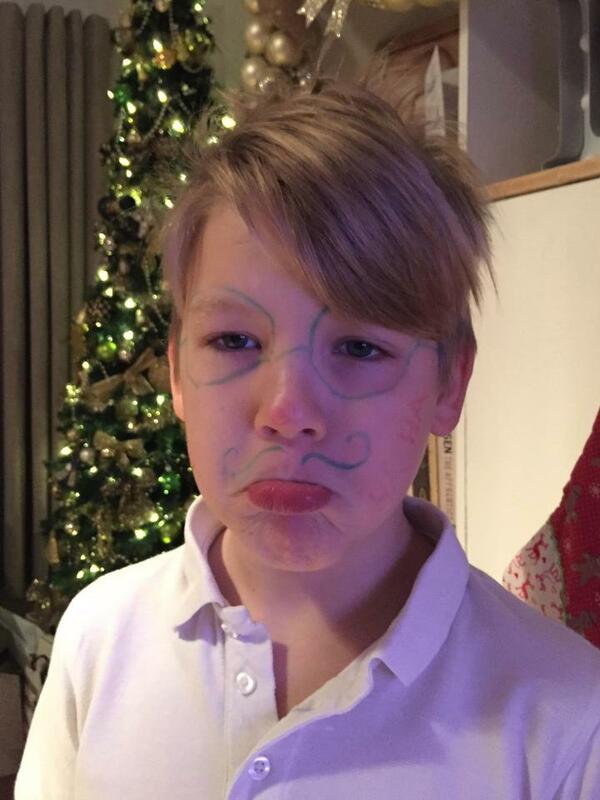 Ali drew on her seven-year-old son Ethan’s face in felt tip pen while he was asleep. She gave him some glasses and a curly moustache and tagged him ‘Elf’. 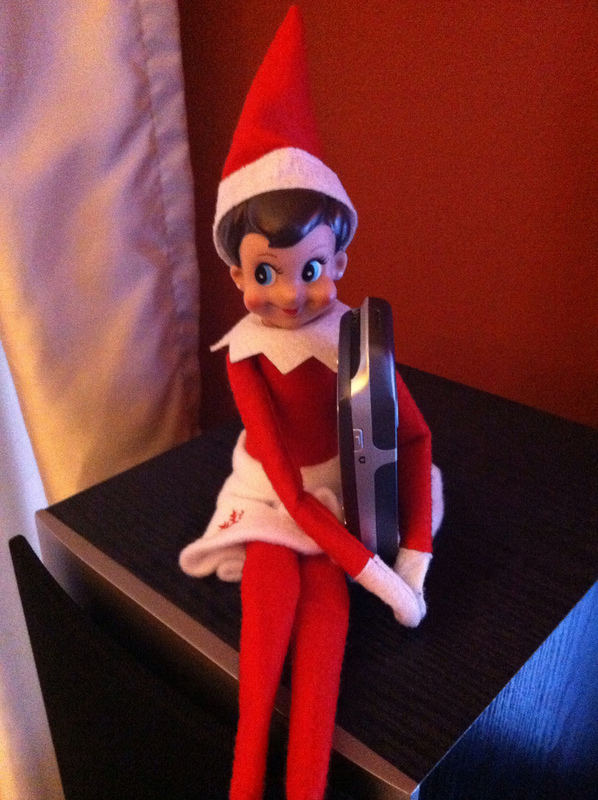 The next day when Ethan woke up and looked in the mirror, his mother blamed it on their Elf on the Shelf called Elfred. The problem was, when the time came to remove the ink, for school or to visit family or whatever, it wouldn’t rub off. They spent hour after hour trying to get rid of it but it just wouldn’t come off. The McCullough family were left with absolutely no choice but to send little Ethan to school that day with the ink still on his face. I wouldn’t have liked to have been the Elf on the Shelf in that classroom that day. Poor Ethan. Anyway, after a few days the ink faded away and Ali’s blushes as a mother were spared. But at the expense of her poor son having ink on his face for days. Oh dear, Ali. Doubt you’ll be trying this one again next year!